Proctor's Stead is a small, friendly, family run caravan and camping park situated one mile from the sea and surrounded by areas of outstanding natural beauty. The park itself is a level, sheltered, well-kept green, catering for up to approx. 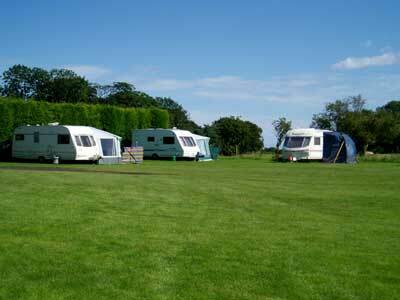 60 caravans, motorhomes and tents.